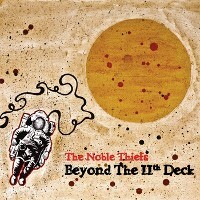 Over at earshot-online we have posted our review for the debut album by Winnipeg band The Noble Thiefs. Their uptempo take on rock, soul, and reggae has been making fans right across Canada with their blistering live show. One that can definitely sit nicely in your collection beside The Style Council.